Today marks a year since Kony 2012 was released, which means a year minus a couple of hours since it went viral. In the aftermath of the controversy, I threw together a link roundup about the video. To mark the occasion, I wanted to try my hand at a definitive reading list on the conflict and its many facets. I’ve broken this into categories to help anyone looking for specific aspects of the LRA conflict. A lot of the links are open access, but there are a lot of journals too. If you have trouble opening any articles, drop me a line. Please let me know in the comments if you know of other works I should include. For a broad overview, there are two big things you should read. The e-book, Beyond Kony 2012, edited by Amanda Taub, is available at whatever price you’d like to pay. It includes everything from the history of the conflict to advocacy responses to Invisible Children, all from great people in various fields. The Lord’s Resistance Army: Myth and Reality, edited by Tim Allen and Koen Vlassenroot, is a good primer and tackles some of the myths around the conflict. If you’re looking for other broad resources, International Crisis Group (ICG) has a report on understanding the conflict. The Justice and Reconciliation Project (JRP) has a number of field reports explaining and analyzing various events in the conflict’s history, all of which are worth perusing. For specific aspects of the conflict, Berkeley’s Human Rights Center and Tulane’s Payson Center for International Development have a report on LRA abductions. In additon, the LRA Crisis Tracker has just issued its annual security review on LRA activity. There are quite a few decent articles on motivations and politics of the LRA: Frank van Acker and Ruddy Doom and Koen Vlassenroot have written good analyses of the LRA; Adam Branch situates the conflict around Acholi peasants; Paul Jackson views the conflict from the greed vs. grievance perspective. Patrick Wegner wrote a great piece on the Internationally Displaced Persons (IDP) camps in Uganda. Chris Dolan has written a whole book (Google Books preview here) on the camps, in which he details their damaging effect on the entire northern Ugandan society in a case of what he terms “social torture.” He was also the first to break the conflict into phases, pointing out the trends in the conflict which Branch and Atkinson would later pick up on. The Refugee Law Project has a paper [pdf] on effects of violence on displaced communities. Adam Branch has written a book (preview) about the consequences of humanitarian involvement that is absolutely imperative – his analysis of IDP camps, of the ICC, and of AFRICOM are all vital, and his history of the war is probably the most comprehensive. Sverker Finnström‘s book examines living in northern Uganda during the conflict, and sheds light on the political motivations behind the LRA. Regarding the ICC, Allen’s short book on the subject is best, but you can also settle for his DFID report [pdf]. Branch has written this short piece [pdf] and a longer one [pdf] on ICC involvement. My professor in undergrad, Victor Peskin, wrote this analysis of the ICC’s approach to both Uganda and Sudan. The Refugee Law Project has working papers on the ICC and traditional justice. Also worth perusing is a series of blog posts at Justice in Conflict about LRA commander Thomas Kwoyelo’s trial in Gulu. On the flip side, regarding Uganda’s amnesty process, Louise Mallinder analyzes the amnesty process and Linda M. Keller looks at alternatives to the ICC. The first issue of JRP’s magazine, Voices [pdf], was about the amnesty process, and the Refugee Law Project has a working paper [pdf] on it as well. ICTJ and Berkeley’s Human Rights Center have a report on popular attitudes towards the ICC and amnesty, and ICTJ, Berkeley, and Tulane later published a joint report [pdf] on attitudes towards these ideas and reconstruction. 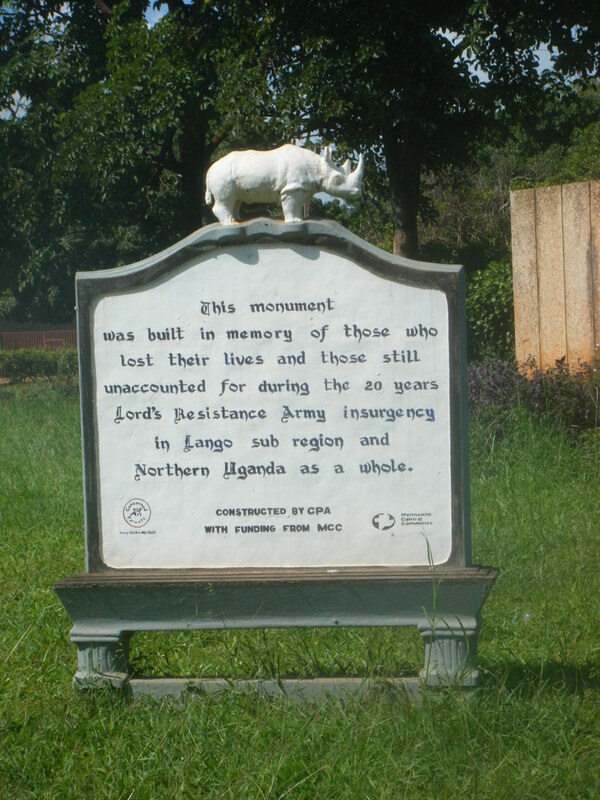 ICTJ and JRP have a joint report [pdf] on memorials and memory in LRA-affected regions. There’s also this piece on young adult perceptions of the LRA, which is an interesting perspective. Accord has a great report [pdf] on the long history of peace negotiations between the LRA and Uganda. They also put out this addendum [pdf] by Chris Dolan about the Juba peace process. Looking at the military side of things, Mareike Schomerus has a look at the UPDF’s actions in Sudan, Sverker Finnström wrote about Kony 2012 and military humanitarianism; a group of authors wrote this article shedding light on what a military solution to the conflict would actually require. The Resolve LRA Crisis Initiative released this report right before Kony 2012, outlining what U.S. involvement should look like. More recently, Resolve helped release this report [pdf] on problems with the UN’s response. 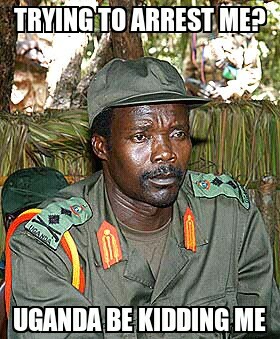 ICG has a report spelling out what else is needed beyond Kony’s capture/death. This is my no means an exhaustive list of readings, merely the ones I think are the most important or ones with interesting perspectives, in addition to some reports with lots of information. Again, if you know of other things that are missing that you think are important, leave a comment. Update (9/1/2013): I’m editing this post to add some things I’ve come across recently. Firstly, Ron Atkinson’s The Roots of Ethnicity: Origins of the Acholi of Uganda is about precolonial Acholiland, but the second addition includes a very thorough history of post-colonial Uganda, including analysis of the LRA conflict. In 2009 he also wrote two good essays about Operation Lightning Thunder. Also, Chris Blattman has linked to the data from the Survey for War-Affected Youth (SWAY) that includes tons of information. In the year since I initially wrote this post, Resolve has published two important reports [both pdfs]: one reveals that Sudan is supporting the LRA again, another is the most recent in-depth look at who makes up the LRA and outlines effective defection strategies. In the last issue of Journal of Human Rights Practice, there was a debate about the Kony 2012 film and campaign by Invisible Children, four authors contributed analyses of the phenomena that captured the world’s attention last March. Now that we’ve passed the campaign’s self-imposed “expiration date,” it’s worth revisiting it to explore some of what these authors critiqued, to offer yet more criticisms on the campaign, and also to defend some of the campaign’s accomplishments. All four essays are worth reading. Sam Gregory explores the important pitfalls of centering a film around its audience the way that IC chose to, especially in regards to how the film was interpreted outside of that context. David Hickman rightly points out that the film lacks an observational mode, rendering any exploration of the war’s history impossible. Meanwhile, Lars Waldorf correctly observes that the campaign has raised the alarm, and that online attention must transition into real action. Mark A. Drumbl offers a strong analysis of the depiction of child soldiers. These are all important aspects of the film from which IC and others seeking to replicate their success can learn. But there are a few moments when the essays address the pitfalls of the film without considering the context in which it is set and the other activities of Invisible Children. When he questions IC’s failure to garner offline support, Waldorf cites the poor showing in April’s Cover the Night activities. However, I think it is important to situate Kony 2012, both the film and the campaign, within the organization’s almost decade-long campaign to raise awareness about the LRA conflict. The fact is that IC has translated its surface appeal into real action on numerous occasions, with tens of thousands of American youth committing to day-long actions to draw attention to various aspects of the conflict. In addition, IC and its partners were able to mobilize over a thousand supporters, myself included, to descend on Washington, DC, in 2009, helping usher the LRA Disarmament and Northern Uganda Recovery Act into passage. It was hailed as the largest lobbying initiative for any Africa-related bill, garnering record-breaking bipartisan support. This law would later be the foundation for President Obama’s decision to deploy 100 military advisers to the region and the stepping stone for the post-Kony 2012 lobbying push to gain more funding for civilian protection programs in LRA-affected regions and to expand the State Department’s “Rewards for Justice” program to include LRA leaders, both of which have passed. In November, long after the luster of the viral video had worn off, IC was able to host a massive summit in DC that included political and civil society leaders from LRA-affected countries as well as representatives from the AU, UN, and ICC, with an audience in the thousands. Whether you support the goals or not, this is a record that overshadows the piecemeal results of Cover the Night, and the number of victories IC can claim is a testament to the depth and breadth of the organization’s grassroots support. When Drumbl criticizes IC, he argues that the organization fails to provide other needs that victims may require beyond the capture of Joseph Kony. Here he makes the same mistake, failing to look beyond the film itself while criticizing the organization as a whole. IC’s programs in Uganda have included scholarships for children to return to school, employment in a number of agricultural and craft-making programs, teacher exchange programs, and efforts to rebuild schools and provide better sanitation in villages. In an effort to criticize IC’s humanitarian proposals, Drumbl also states that child soldiers are often not rescued at all; most former abductees actually defect. But IC understands that, and while they may urge their donors to “help bring them home,” their efforts to make that happen are actually through leafleting and radio broadcasts specifically targeting conscripts, encouraging them to defect. One critique that Waldorf levels, however, is very important to expand upon. In this video, as in their other videos, IC has taken clear sides in the conflict between the LRA and the Government of Uganda, depicting Kony as pure evil. While Kony has committed egregious acts of violence, often on innocent civilians, it is imperative that an organization with the platform that IC holds turn some attention to the Ugandan government, which has allowed Kony’s terror campaign to continue to benefit its own agenda, which has employed devastating tactics on civilians under the auspices of anti-LRA missions, and which has forced millions of civilians into displacement camps with such deplorable conditions that they have been described as torture and genocide. Anything less is a misrepresentation of the situation and a disservice to the mission of ending the conflict. Another problem that IC has chosen to ignore was highlighted by Drumbl, and that is that the organization fails to depict the complexities of opting for prosecuting Joseph Kony over other alternatives, such as Uganda’s recently-ended amnesty program. While Invisible Children’s programs fund radio come-home messaging aiming to encourage defections by promoting amnesty, the organization’s video made no mention of how the amnesty complicates the ICC’s indictments for Kony. And worse, when the Ugandan government chose to end the amnesty program in May, Invisible Children failed to use its platform to adequately condemn the decision, choosing to sign a joint statement [pdf] with other organizations, but without broadcasting very much information to its massive support base. When coupled with its support for the ICC indictments and Uganda’s military solution to the conflict, Invisible Children is involved in what is an increasingly militarized, judicial agenda that is replacing amnesty and negotiations. What we have seen in the last year is that IC’s support base has grown, but its policies have remained the same. The group is still using a simplified narrative to gather massive amounts of support, pushing a military solution as the only way forwards. On this, their critics and I agree. However, it is important to also consider the places where IC has succeeded, in its ability to raise awareness, in its efforts to support the local population, and in its work to protect civilians. It seems that we are past debating whether Invisible Children has had an influence or whether they are doing any good at all; the debate should be about whether the net influence is positive, and whether the good work comes at a cost. As we move forward in 2013, it is critical that Invisible Children do three things: give a more nuanced and balanced depiction of the conflict, including naming and shaming the government where it is desperately needed; take a step back from its pro-military agenda, allowing room for amnesty and protection of soldiers forcibly conscripted into rebel ranks in their messaging; and stop dismissing critics, engaging them in a healthy dialog about how best to resolve the conflict. Today I wanted to take a brief look at a particular moment of last week’s panel, when Kate Cronin-Furman gave her opening remarks. She chose to talk about the decision for Invisible Children to concentrate on the International Criminal Court, and to look at what that meant for the campaign specifically as well as the narrative of the conflict as portrayed in the video. She began by looking at the circumstances that resulted in the ICC referral and compared it to Uganda’s justice system today. She also argued that a campaign that only addressed the ICC was either “not thoughtful advocacy” or was “window dressing for an all-military approach.” She ended with the question, why are we treating a complex political situation like a law enforcement problem? Tonight, countless activists will descend on their cities with community service and a ton of posters invoking a campaign to capture Joseph Kony. It will be the answer from the masses to the call to action at the end of the Kony 2012 video that Invisible Children premiered in early March, and I expect – in many cities – it will be pretty big. I know of dozens of friends across the Phoenix area that will be doing something to mark the occasion. I personally won’t. As I’ve mentioned before, I think that passing a widely cosponsored bill and getting advisers sent abroad means you’ve got awareness on your side already. I’m taking action in a different way. Earlier this week I joined a number of students and adults in meeting with the district director of my Congressman. We talked for almost an hour about Joseph Kony and the role the U.S. can play in the region. We discussed support for a House resolution confirming support for President Obama’s deployment and a resolution to expand the Rewards for Justice program. After 6 years of learning about this conflict, it’s the best way for me to take action. The absolute best way to get involved in any cause, though, is to learn about it. Once you do your homework, you can choose how best to insert yourself into the movement. There is tons of reading to do on this particular campaign, thanks in part to the vast expanses of the internet. More recently, an informed volume of essays has been collected by Amanda Taub of Wronging Rights fame, and its available in an e-Book. 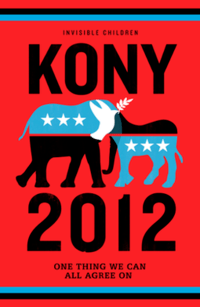 Go have a look at Beyond Kony2012: Atrocity, Awareness, & Activism in the Internet Age. I’ve only just started reading, but it offers brief but in depth history and analysis of the conflict as well as informed critiques about the campaign, and it’s downloadable in all sorts of formats at whatever-price-you-can-afford. If you want to learn about the cause – whether you’re a critic or a supporter – it’s a good place to start.